Nic talks about the Swedish midsummer tradition. With pictures. 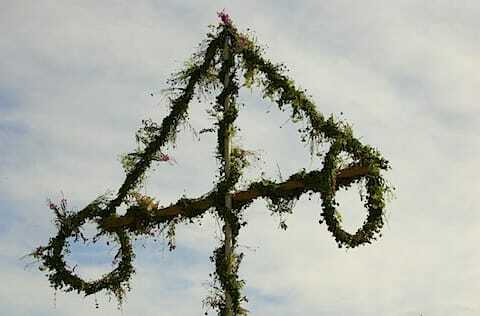 Midsummer’s Eve is arguably the biggest holiday in Sweden, and definitely my favorite—there’s no flag waving and no gift buying. It’s all about enjoying the longest day of the year, the lushness of Sweden at its finest, and eating good food. 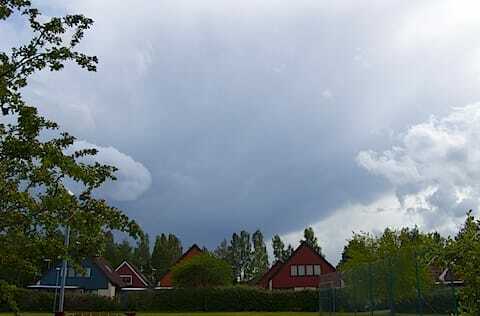 So I was incredibly happy to be able to spend Midsummer in Sweden and partake along with my daughter. 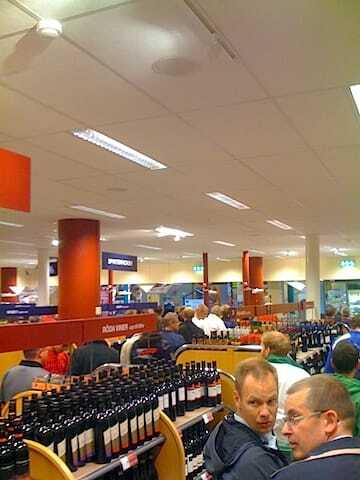 The holiday requires nubbe—chilled akvavit—so there was quite a line at the state-controlled liquor store the day before. 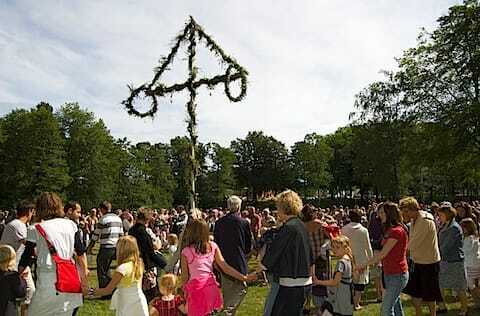 A large part of the tradition is the raising of and dancing around the midsummer pole. As you can see, the phallic nature of the pole was disguised by Christian missionaries with the addition of a cross bar which was then subverted with the cunning use of wreaths. You can use your own dirty mind to figure out what the wreaths resemble. Clever of the heathens, I say. After the pole was raised, traditional dancing ensued. Andrea was a bit confused but happy. 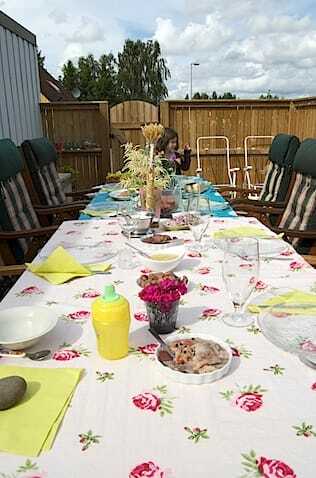 Another important tradition is to eat outside. Dagnabbit, it’s the middle of summer, so Food Shall be Consumed Out of Doors. 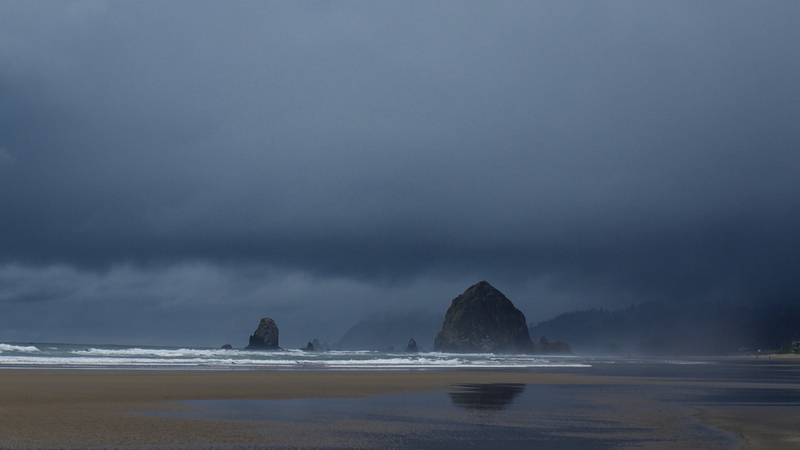 As is also customary, rain was threatening, so it was a bit touch and go on that part. Eat outside you want, eh? But never say die, so we set the table on the patio. The table being set up. The most important items are already on the table: the herring and the nubbe. Everything else is gravy. Fortunately, the weather gods relented, and we were able to dine al fresco. All in all, an excellent Midsummer’s Eve.